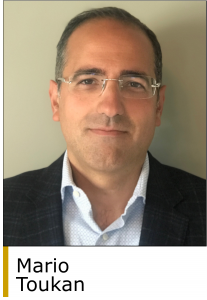 SK Capital Partners has added Mario Toukan to its investment team as a new Managing Director. Mr. Toukan has over 20 years of mergers and acquisitions experience focused on the chemicals sector. He has been with KeyBanc Capital Markets since 2004 and in 2012 he became the firm’s Global Head of Chemicals and Materials. SK Capital specializes in the specialty materials, chemicals and pharmaceuticals sectors and typically invests equity of $100 million to $200 million in each portfolio company. In its most recent transaction in October, the firm acquired Schenectady, NY-based SI Group, a manufacturer of specialty chemical additives and intermediates that are used in a range of end markets including pharmaceuticals, plastics, oil and gas, and tires. SI Group operates 20 manufacturing facilities in 10 countries with more than $1 billion in annual sales. “Mario’s exceptional understanding of, and extensive relationships in, the chemical industry will enhance our position as one of the leading investment franchises in our sectors of focus. His addition will broaden our platform and I look forward to having Mario as a partner,” said SK Capital Managing Director Jack Norris. SK Capital has more than $3.8 billion of assets under management and is based in New York (www.skcapitalpartners.com).